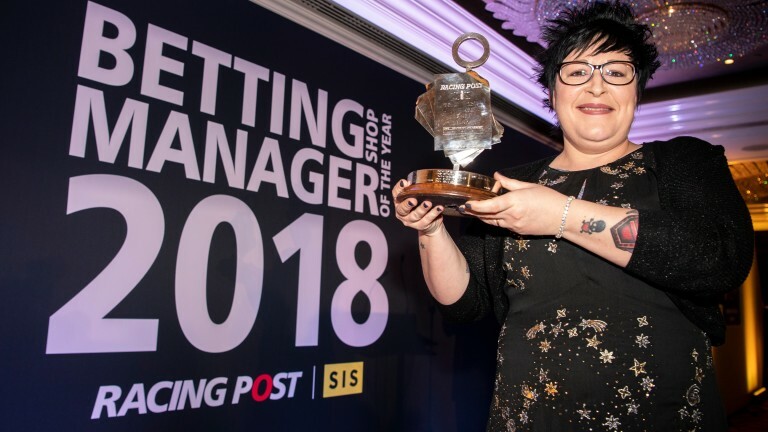 Lorraine Archibald’s feet had barely touched the ground after being crowned the 2018 Racing Post/SIS Shop Manager of the Year at a glittering awards lunch in London when she enjoyed a memorable day at Ascot. Archibald, 42, saw off a stiff field to become the first winner from Northern Ireland in the competition’s history and her first outing as champion was a far cry from her only previous visit to a racecourse. It was a special day in more ways than one for Archibald as she was able to take her shop team with her to celebrate the success of the previous month at Ascot, where they enjoyed the racing from the comfort of the SIS box. “It was completely different to standing in the rain at Downpatrick,” she added. 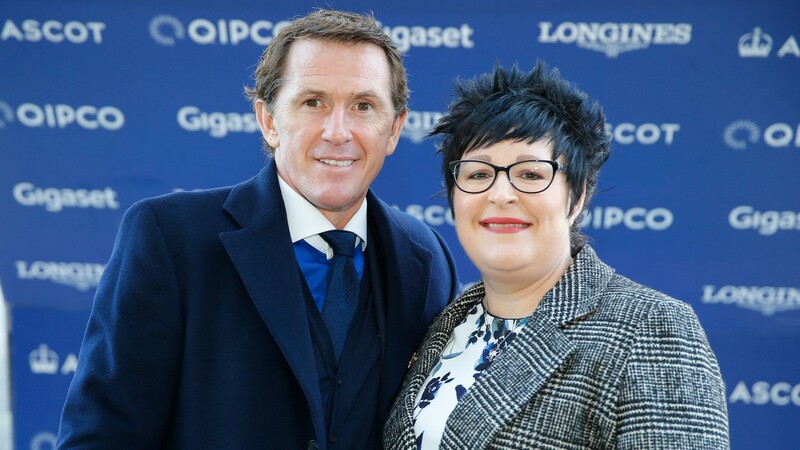 The afternoon got even better for Archibald when she met 20-time champion jockey and celebrated son of Northern Ireland Sir Anthony McCoy. “I didn’t know it was going to happen until he walked up to introduce himself. It was absolutely wonderful – a real surprise,” she said. One thing Archibald has appreciated more than anything as the Betting Shop Manager of the Year has been the opportunity to attend racing, greyhound and industry events, and relay those experiences to her customers. 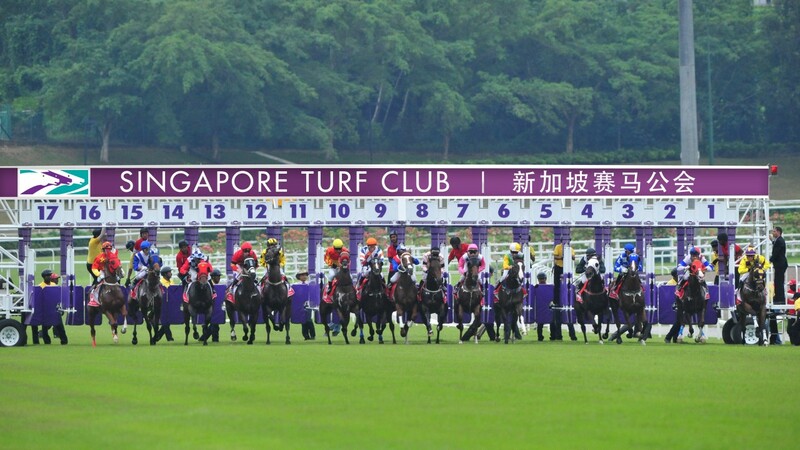 The rest of the year will take her to the Punchestown festival, the Investec Derby, the Coral-Eclipse at Sandown and the Coral Sprint Trophy at York, with the highlight being a VIP trip in July for the Singapore Derby, courtesy of the Singapore Turf Club. Archibald, who also attended the Ice gaming exhibition in London in February, said her experiences since winning the competition have made her a better shop manager. She said: “It has broadened my knowledge of the industry and has been an experience I’ll always cherish. The biggest challenge facing the betting industry is the reduced maximum FOBT stakes, which Ladbrokes introduced in their shops in Northern Ireland to mirror the rest of the United Kingdom. It is up to the major companies to determine their qualifiers. There are eight regional competitions: Ireland, Scotland, north-east, north-west and Isle of Man, Midlands and Wales, south-west and Channel Islands, Anglia and south-east, and Greater London. In Ireland, there are two places reserved for BoyleSports, Ladbrokes and Paddy Power, with one place for William Hill. For all independent managers, they can enter by emailing bsmoty@sis.tv by May 31. Each manager will then receive a written question paper and six per region will be chosen to go through to the next round by the judging panel. The 48 managers through to this stage will each receive a mystery shopper visit, after which the panel will select the final 24 (three per region). Those 24 managers will then spend a day at the races at Doncaster at the end of October, where they will meet the judges for the first time. Eight regional champions will be chosen from this day. Each regional champion, along with a key member of their shop staff, will then attend the final selection in London, which involves a question-and-answer session with the judges on the day before the final. The final awards lunch takes place in London in November and the winner will be invited to several key racing and betting events during their year as champion. Colloquially known as Ards, the home of the reigning Racing Post/SIS Betting Shop Manager of the Year lies at the northern tip of Strangford Lough, ten miles east of Belfast. Lorraine Archibald, in her role as marketplace manager, oversees three shops in Newtownards with her base in North Street cutely tucked off the main drag in a position traditionally seen as popular with punters who might not like to be in the public eye. Yet, once inside, the term ‘home from home’ is entirely appropriate. In some shops nowadays staff can keep their heads down and don’t necessarily notice who’s coming and going. Not here. Everyone gets a greeting and if the customer fancies a chat and a cuppa, it’s sorted. People have time for each other.